I pretty much love the ocean. and my head in the clouds just enjoying all the serene beauty. I have always mixed in a few pieces here and there. you might have noticed a couple popping up from time to time. 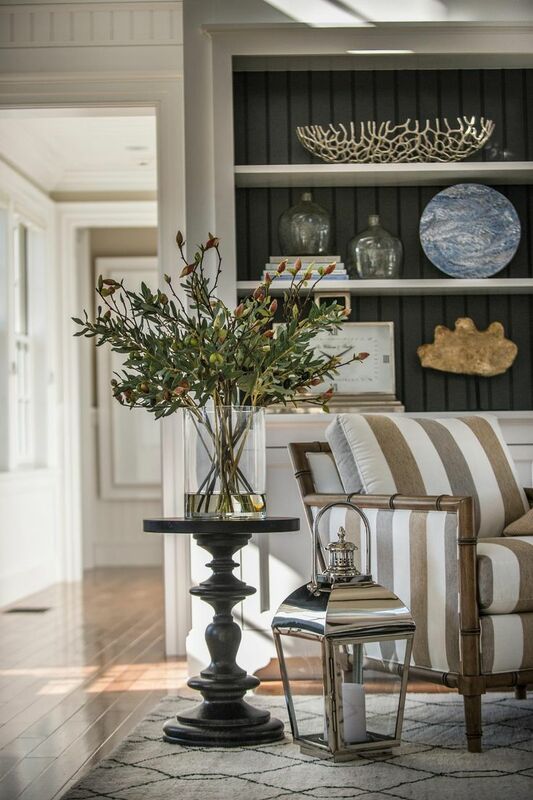 and this week- it is all about decor with a coastal vibe. 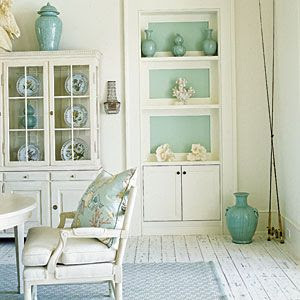 mingling with that pop of sea glass green or blue. 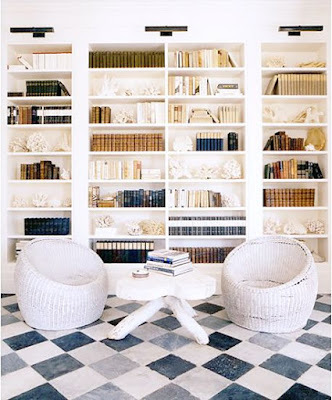 from 1 piece to a whole bookcase to a whole room. 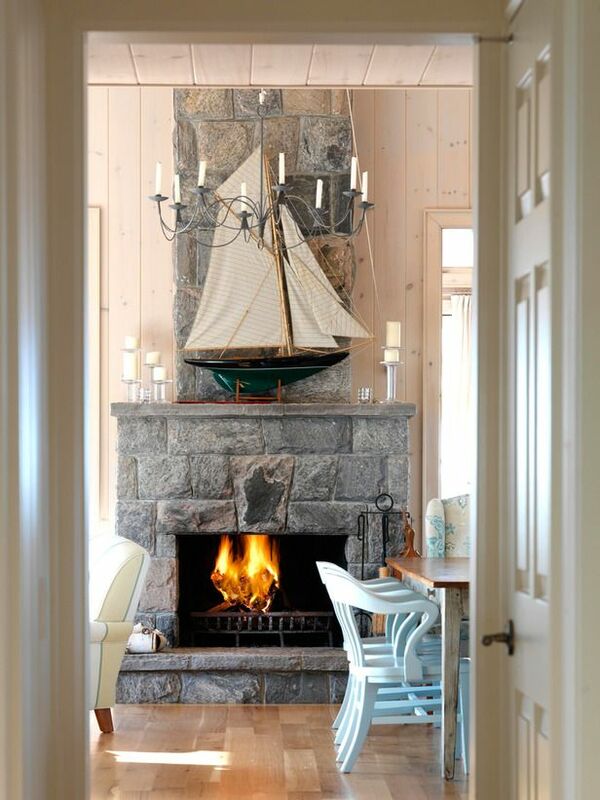 I am crushing on that boat on the mantel. 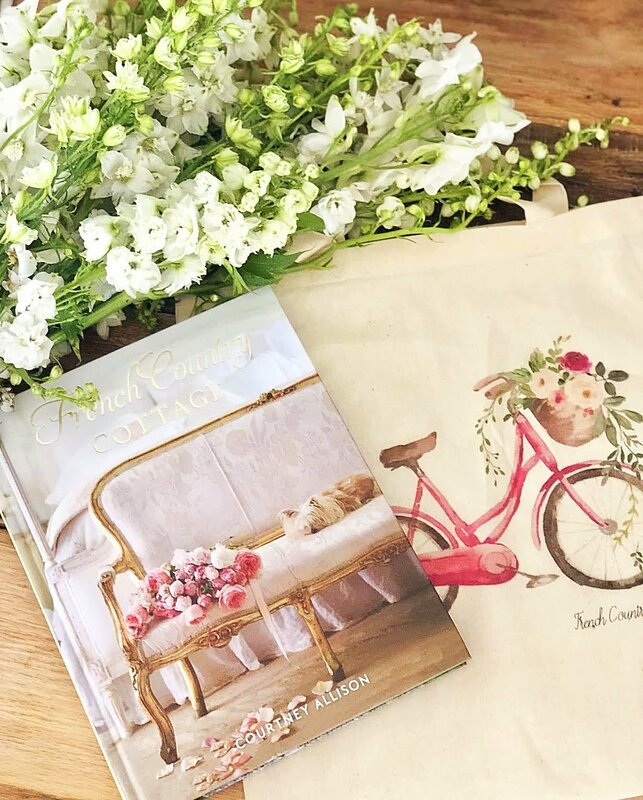 but using finds from HomeGoods. 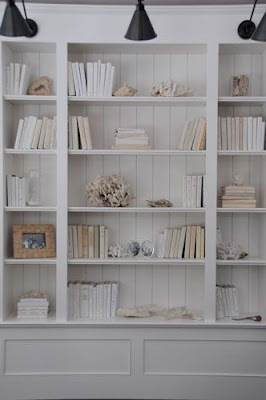 I chose a bookcase that was very neutral and quiet as the inspiration. 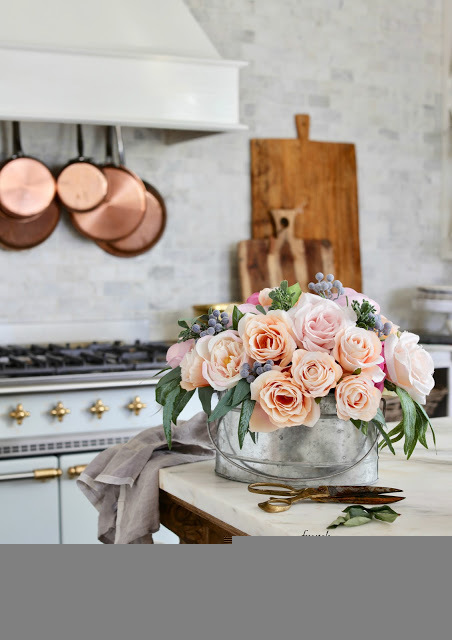 mix of new and vintage to create the look. but the rest came from either the hardware store (sponges) or HomeGoods. AND it might inspire a tiny change for summer out there. 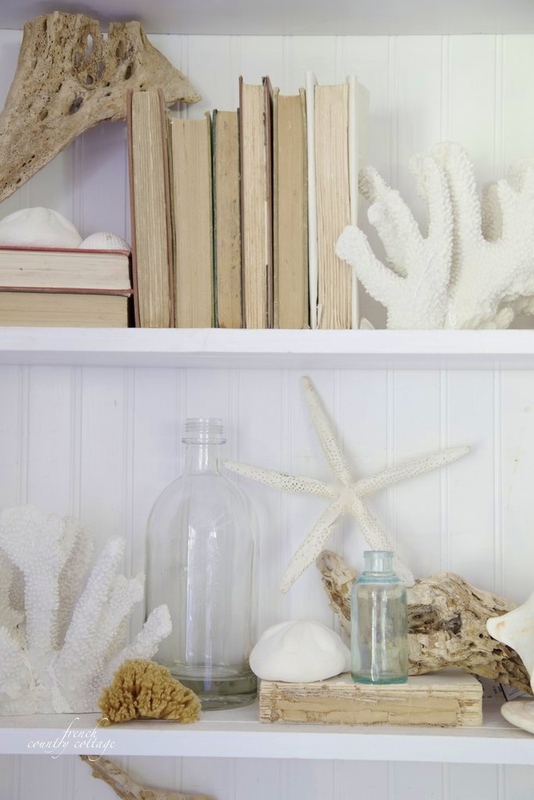 have you gone a little coastal in your home? Courtney, we live inland, but I grew up on the coast. 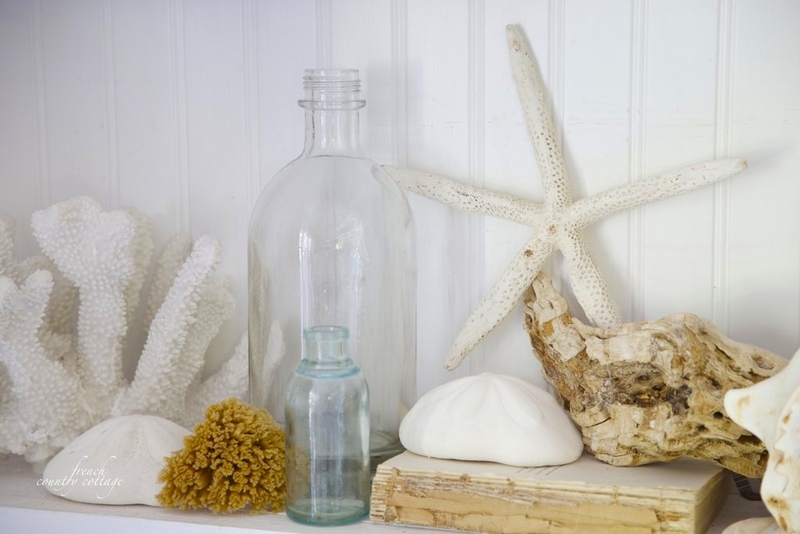 Nantucket is one of my favorite destinations, so I have Nantucket baskets, seashells, and such out here in the summer months. 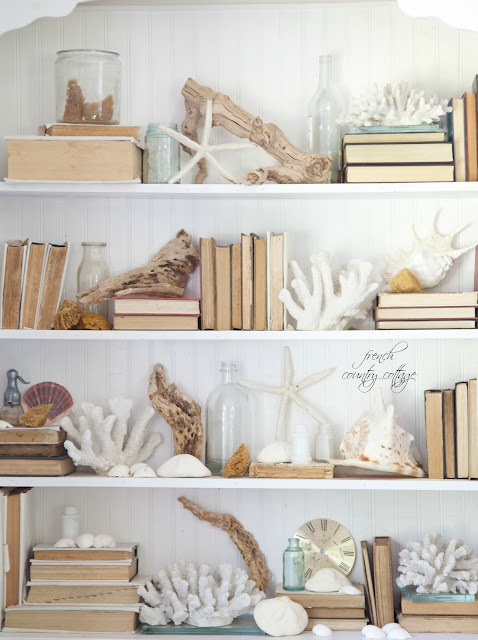 I love organic things, so sea shells make me happy. 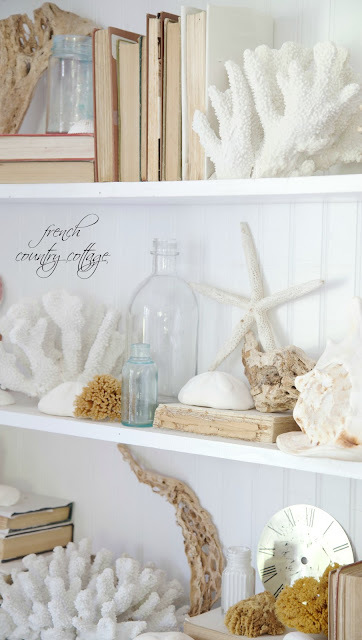 Love your shell and coral collection! It looks very tropical and relaxing. Love love love it's all beautiful! Love it all..makes me miss the Irish sea, can almost smell it! Absolutely awesome decor!!! I love the soft relaxing feel. Just makes me want to put my feet up and read. Always go a little coastal in the summer! 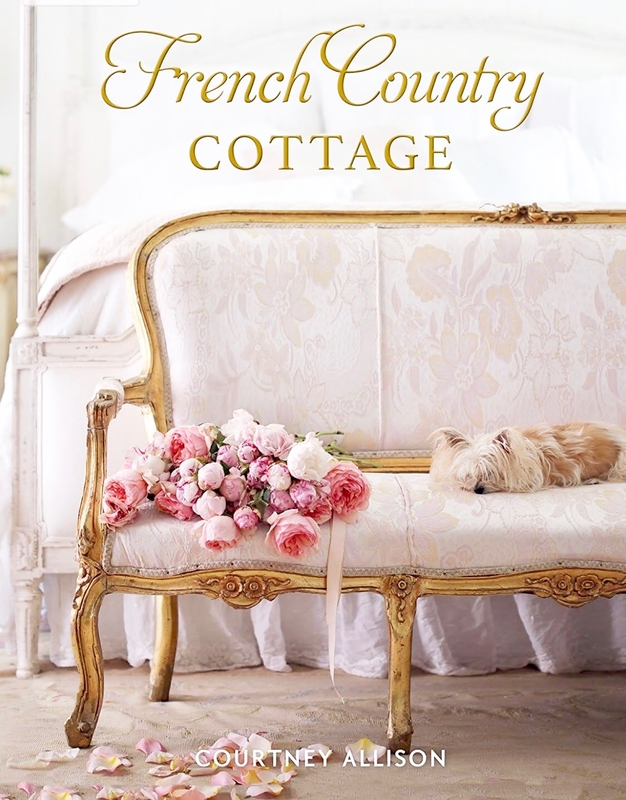 I live within walking distance to the beach, but my home has more of a French vibe than a coastal feel. 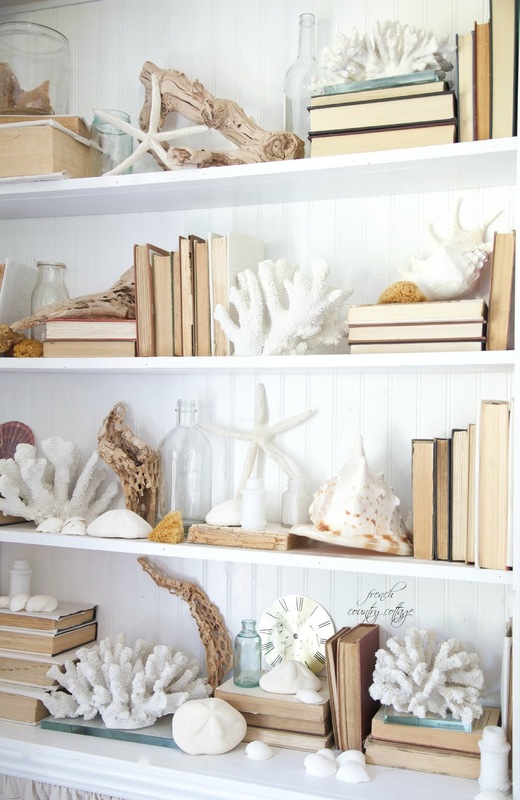 I do, however, have special touches of the sea throughout my home. Sea glass, special shells, coral, and a few other little pieces here & there make my little cottage by the sea a bit coastal. I especially like to bring out extra coastal touches, such as starfish linens, etc. 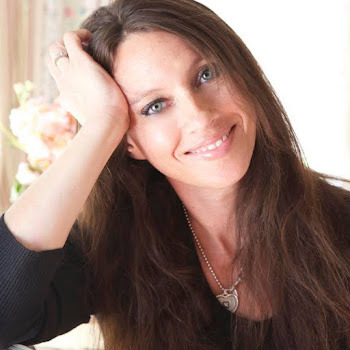 in the summer. I really like what you did with the bookcase.